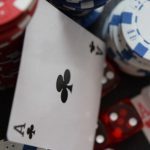 Three stanzas from a PokerStars poem including news of a Stars Rewards revamp in Italy, dates for the Spring Championship of Online Poker, and a grudge heads-up encounter between Ben “Spraggy” Spragg and Parker “TonkaaaaP” Talbot. 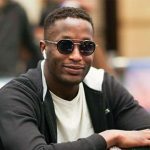 Rasset was the PokerStars higher-up given the noxious task of notifying his impoverished customers that the award-winning Stars Rewards system was about to change. The first step in that change would be to slash multi-table tournament (MTT) Rewards by 55% in a move that saw Rewards Points for scheduled tournaments reduce from 100 reward points for every $/€1 in tournament fees paid to 45. Now for some slightly better news. In the second half of that blog post, Rasset promised to revamp the Rewards Chest part of the program, and the Italians will be the first to test ride the new beast before a global rollout. As is standard with these things, Pokerfuse, got the exclusive, and the rest of this article has been pinched from those smart Alecs. There are still six chests, but they are different colours. The Red and Platinum Chests have vanished like people who kiss with their eyes wide open, to be replaced by a Black Chest and a Diamond Chest. Movement between Chest tiers now occurs if you win 10 Chests over 28 days (rolling), and failure to find the crosshairs sees you drop down a Chest tier. 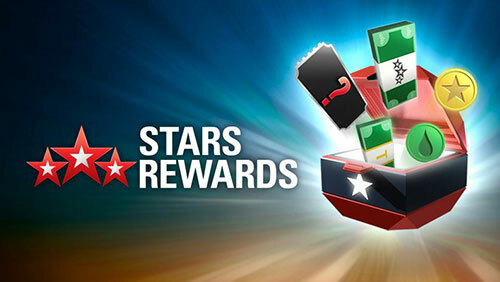 Previously, you needed to earn four Chests in a day to receive a promotion. Here are the six Chests and their requisite value. 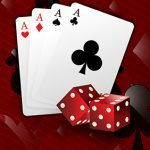 The bright minds at Pokerfuse have done some calculations, and believe the average value of a Chest has more than tripled, with the combined EV of all the Chests increasing by 216%. The top prize has dropped from €1,000 to €700, but it’s mathematically more likely to pay out. The crappiest chest (Blue Chest) now has a fixed price of €0.50 after complaints from players who were receiving only a few cents for Red Chests. 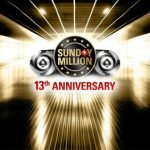 Spring is in the air, and that means one thing: millions of dollars worth of prizes across online poker tournament series. partypoker announced a $30m Guaranteed POWERFEST taking place 31st March – 14th April 2019, and 888Poker’s XL Blizzard returns 4 April to 14th April. 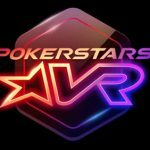 Now we know the dates of PokerStars Spring Championship of Online Poker (SCOOP) are Sunday, May 12 through to Monday, May 27 with the Main Event taking place on Sunday, May 26, Low/Medium Phase 1 Satellites beginning on Sunday April 15, and High Phase 1 Satellites starting on Sunday, April 21. It’s been brewing longer than a grannies fart. PokerStars Ben “Spraggy” Spragg and Parker “TonkaaaaP” Talbot have been at each other’s Twitter throats for months now. Except, this one was a tad, Disney, taking place on PokerStars VR with none other than Chris Moneymaker acting as VR peacekeeper. Each player began with a $40,000 Play Money bankroll, competing in a $100/$200 No-Limit Hold’em Heads-Up match streamed live on Twitch. Or figure out the result for yourself. ALRIGHT BENJAMIN IS GOING TO GET FUCKED. Here we go. Going live momentarily to beat up on this fool. 200bb, buyin as you like. Winner gets to choose the other persons avatar for a month and loser has to make a twitter apology video.